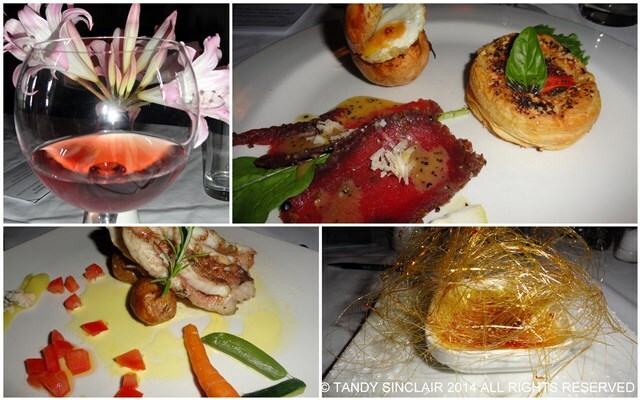 The Harvest Dinners At Vergenoegd Wine Estate are something I look forward to each year. Not only for the great food and company, but for the interesting talk given by cellar master John Faure. This year the dinners will take place on the 26th of February and the 5th, 12th and 19th of March. The seating is limited to 25 people so if you are interested in going please ensure that you book! The evening will include grape stomping – make sure you are dressed for this, and a 3 course meal prepared by Michael Israel, the chef owner of Pomegranate Restaurant, situated on the estate. As you will be dining under the stars be sure to bring something warm to wear during the dinner. The Faure family have sold the wine estate. John Faure is no longer the cellar master. And Pomegranate Restaurant has closed. I am not sure whether the wine estate is still holding these annual harvest dinners or not. it looks like a fine evening out winning & dinning! if I could, I would join you, sounds like fun! Looks like a fun day and what a great wine region! The grape stomping will surely work up an appetite for that 3 course meal. It is a good way to work up an appetite! I love such events! Grape stomping! How much fun is that! Went for grape stomping last month, and gosh, we had such a ball! The food is always excellent! You will have to come back for a visit then! 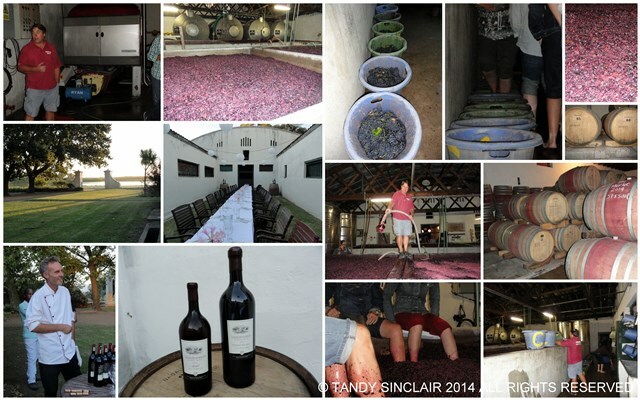 Grape stomping…. OMG, so much fun! 🙂 Sounds like you are in for a fun filled experience. I know I am for sure! Sounds like fun – Tandy – grape stomping:) obviously not the time to wear the elegant evening dress! Everything looks absolutely wonderful. And just look at that food. I just bet this event is so much fun. I’m sure it is a great event to attend…have loads of fun with good food and wine. Anything at a wine estate has to be good! Wow, this is a great opportunity for those within the area! Look at those harvest meal plates! So intricate!